Alcohol free cocktail with fine bubbles: Savour the bitterness of the pink grapefruit, softened by the subtlety of Vintense Fine Bubbles Rosé. Vintense Fine Bubbles Rosé (6 cl) -> 0,0% alc. 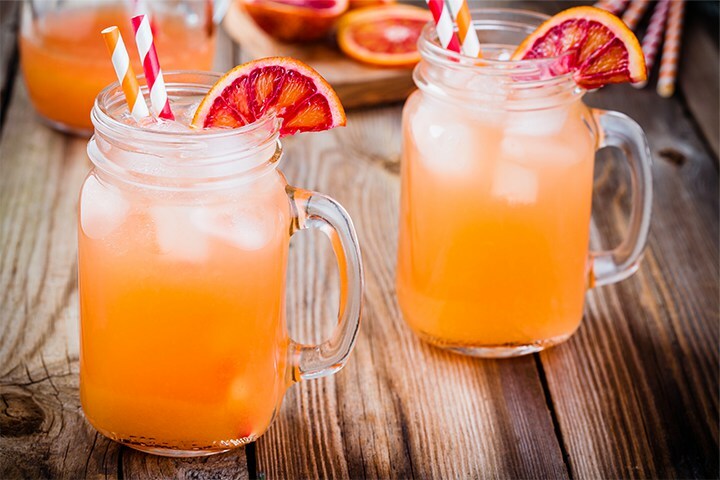 Pour 4 cl of pink grapefruit juice and 4 cl of orange juice into a glass. Add 6 cl of Vintense Fine Bubbles Rosé.